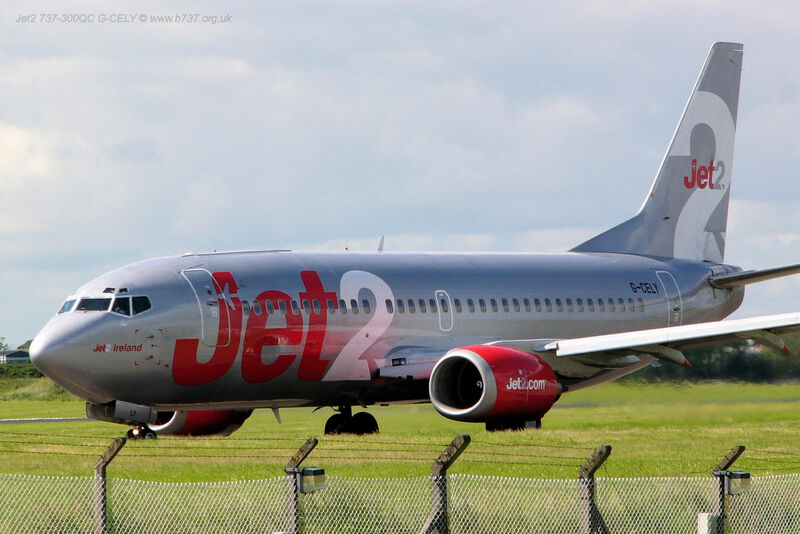 G-CELY (23662 / 1316) Jet2 Boeing 737-300QC. BFS 25 Jun 2004. Total Hours: 66742 at 22/03/2017. This 737-300 first flew in 1986 and served 18 years with Ansett before being bought by Channel Express (now branded as Jet2). Channex used their aircraft round the clock flying passengers by day and freight by night hence the conversion to a QC by Israel Aircraft Industries Bedek Aviation Group in 2003 which is shown by the side cargo door spanning the first 7 passenger windows. Interestly the aircraft was demodified back to a pure passenger aircraft by ATC Lasham at St Athan in 2006. The second point of interest on this airframe is the lack of aft body vortex generators. These are the four vortex generators on each side of the rear fuselage above the horizontal stabiliser. They were installed to energise the airflow at the stagnation point at the tailcone, thereby reducing drag and giving a slight performance advantage. Classics were initially produced without any aft body vortex generators (see photo). However the upper vortex generators were reinstated after line number 2277 (May 1992 onwards). This was to reduce elevator and elevator tab vibration during flight to increase their hinge bearing service life. 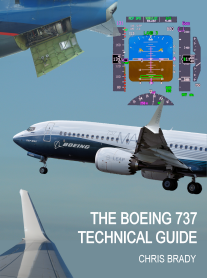 Note that due to its redesgned tailcone, there are no aft body vortex generators on the 737MAX.